Learn how to use one of the most adaptable and effective pieces of exercise equipment – the Pilates Reformer machine – from the market leaders in Dynamic Reformer Pilates. Designed by movement specialists and incorporating the expertise of Ten’s Pilates instructors and Rehab specialists, our 48 hour Dynamic Reformer course will provide you with an expert understanding of the principles and techniques necessary to use the Reformer effectively in rehabilitative, corrective and functional settings. Attendees do not need to complete a Pilates matwork course prior to attending. The course will cover all the basic principles for the exercise techniques, as well as all the visual and verbal cues necessary for performing them safely and effectively. Learn how to maximise the potential of the Reformer Pilates machine to provide clients with high quality movement experiences in both classes and one to one settings. Learn how to use the Reformer safely and demonstrate the benefits of accompanying small equipment. Learn how to teach an extensive range of Dynamic Reformer Pilates exercises to continually challenge and progress clients including - mobility, core/abdominal, lower and upper body movements. Understand the ‘layering’ of exercises and how to deliver exercise progressions and regressions. Understand and apply modified exercises based upon today’s client pathologies. Learn how to sequence newly learnt exercises into a Dynamic flow, creating a workout suitable for either the Beginner or Intermediate client. Construct ever-evolving class plans, involving the key elements designed to develop your client. Learn how to create the environment to deliver exceptional Dynamic Reformer Pilates class. 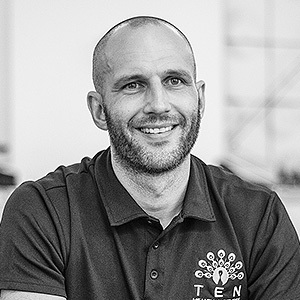 Learn how to apply Ten’s key teaching principles and develop a strong biomechanical understanding of how they will develop your clients. Learn the use of verbal, visual and kinaesthetic cues and how to use them while teaching your class.  For rehabilitation, fitness and exercise professionals who understand the importance of quality of movement, a TenEducation Dynamic Reformer certification is a powerful addition to their repertoire of treatment and teaching tools. 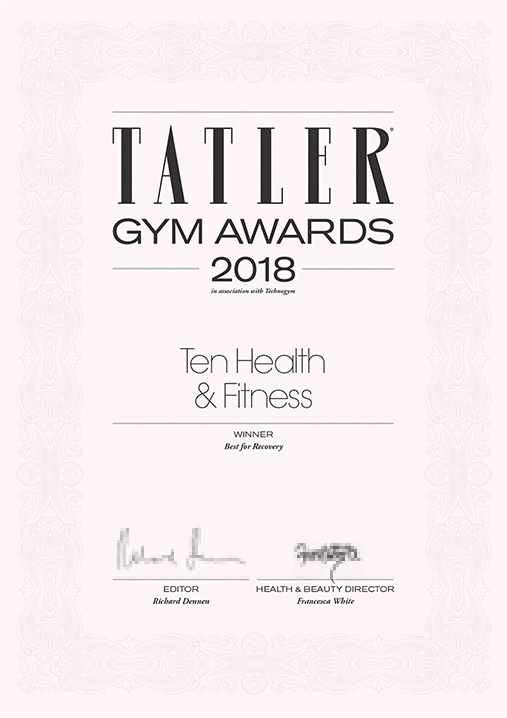 Established in 2007, Ten has trained hundreds of health and fitness professionals to use the Pilates Reformer machine and help their clients and students to move better. 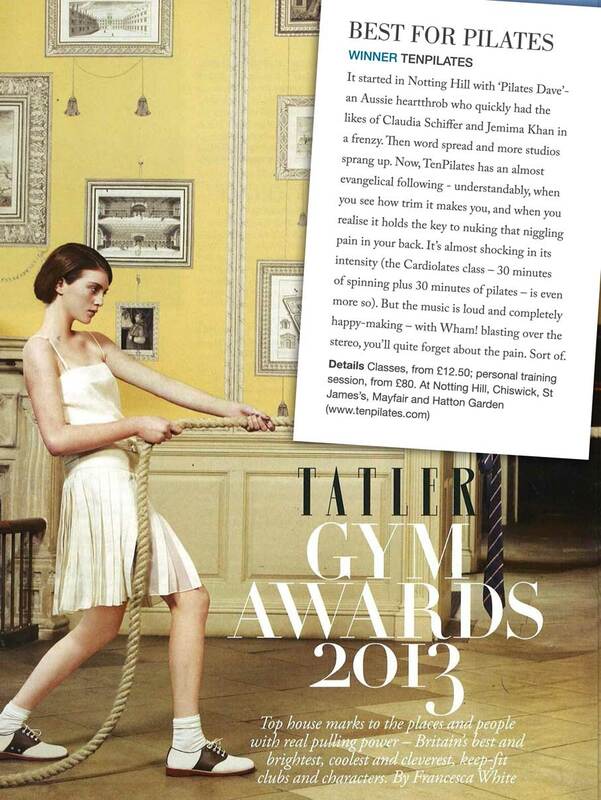 Once certified, you too will able to use the Reformer effectively, safely and expertly in both group and 1:1 sessions. Ten's Reformer Training course inspired me with new ideas and class plans that I have been using in my own studio. Joe and Neil were very professional and good at helping people from different backgrounds, dancers, PT’s and Pilates trainers. The course was fast flowing with an active learning process to ensure you get the most out of the time. The online portal was an excellent tool with great videos. I would highly recommend this course to other trainers who have no reformer experience as well as existing Pilates Reformer instructors. 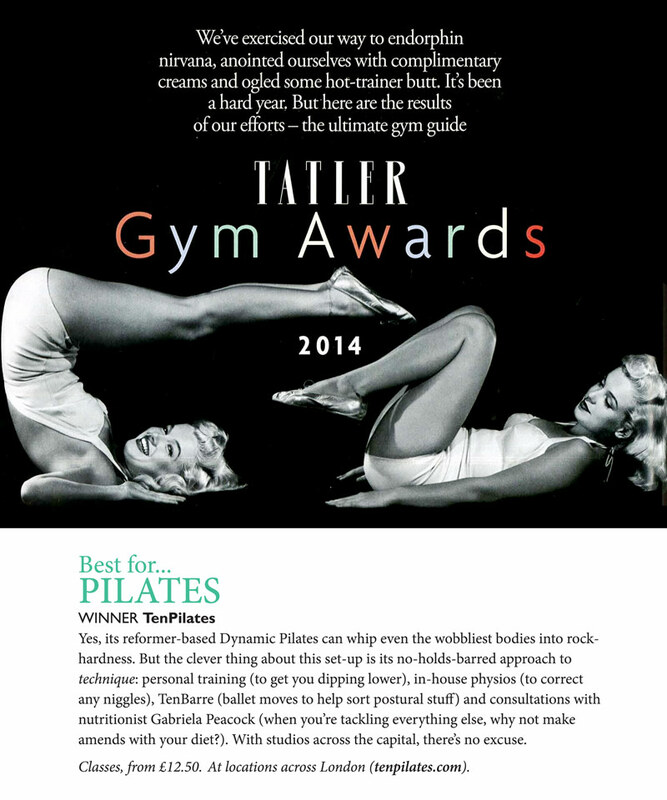 Dynamic Reformer Pilates is at the heart of everything we do at Ten. We first introduced Londoners to Dynamic Reformer Pilates over a decade ago, and we’ve continued to pioneer its development since. With over 250 classes a weeks across our Studios, our industry-acclaimed approach has made us the largest and most popular Dynamic Reformer Pilates provider in Europe. You’ll see our classes featured regularly in both the fitness industry and popular press and our name is synonymous with quality and results. On this course you’ll learn how to teach our innovative, highly regarded approach to Reformer Pilates. Through our in-house and external academy we have taught hundreds of health and fitness professionals who have gone onto careers with both us and at fitness providers around the world. The course will be taught by Ten Master Trainers – some of the most respected, experienced and qualified Trainers in the industry and all with a wealth of practical experience using the Reformer with clients of all ages, levels and capabilities. You will also be expected to attend classes as necessary, and to manage your own self study from the materials provided. Head of Fitness, Neil Dimmock, has over 23 years’ fitness industry experience, managing everything from large corporate gyms to small boutique-style Pilates studios. He is a recognised expert in everything from corrective exercise to athletic conditioning, flexibility, speed and agility training. He regularly provides comment to both fitness industry publications and the national press. As Head of Fitness Neil shares his expertise in helping clients master the fundamental movement patterns that underpin everything from our daily activities to even the most complex exercise sequences and intensive sports. Ten Master Trainer Erica’s love and appreciation for both fitness and movement started early, with classical ballet training. 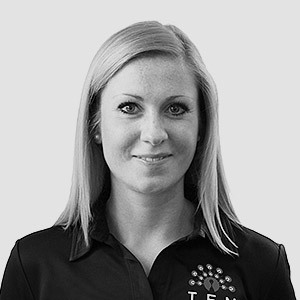 This dual passion for technique-driven movement and a good old-fashioned workout is also reflected in her many qualifications – she combines a degree in Human Communication Science with qualifications in personal training, fitness instruction, indoor cycling and massage therapy and is the brains behind TenStretch - London's first Reformer based stretch class. This course is scheduled to take place on the following dates. Early applications are advised. The course is fully accredited through PD:Approval and is worth 16 REPS points. Includes 10 classes at Ten, access to online learning portal, course material, training, assessments and certificate. Please note that you will need to make an initial payment to secure your place. Pilates Teachers, Fitness Instructors and Personal Trainers with L3 or above qualifications. A Mat pilates qualification is not required. Qualified Physiotherapists, Osteopaths, Rehab specialists, and Sports Therapists. If you are in any doubt of your eligibility please get in touch. We understand that illness and injuries happen, and we’ll do our best to adapt the course so you can continue. If you are completely unable to attend sessions, you may defer onto another course. If, for whatever reason, you decide not to complete the training, we regret that we are unable to refund course fees.